Schools everywhere are concerned with raising standards according to government requirements, particularly for those pupils who could be termed 'more able'. The key challenges revolve around government initiatives such as Every Child Matters, independent learning, inclusion and differentiation, thus making learning effective and successful for all pupils. All the case-study schools subscribe to the educational ethos of creating an environment for all pupils to discover their gifts and talents, and the authors show clearly how these findings can be applied in any school. Raising the Achievement of All Pupils Within an Inclusive Setting describes the strategies that have been developed to provide equal opportunities for all pupils, whilst accommodating different individual needs and rates of development. A major focus is on identifying and resolving underachievement in schools. 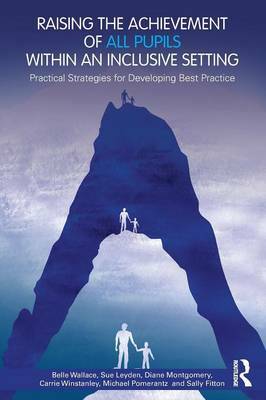 Drawing upon intensive interviews with staff, pupils, parents and governors, the authors provide practical guidance for successfully raising motivation, achievement and educational standards in any school environment. Teachers, Gifted and Talented Co-ordinators and school leaders seeking guidance and inspiration from real-life schools will benefit from the down-to-earth, achievable advice offered in this book.